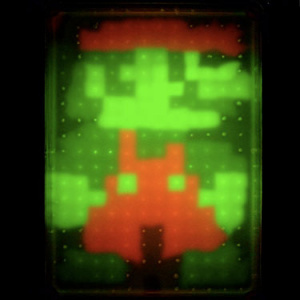 Japanese researchers recreate Mario in a petri dish. Evidentally, Japanese science folk at nanobiological laboratories of the University of Osaka got bored whilst solving real problems and decided to do something significantly more light-hearted to cheer us all up. Here we present Fungus Mario in all his fluorescent glory! Those Osaka University boffins achieved this stunning effect by engineering bacteria to "express fluorescent proteins and carotenoid pigments", whatever that means. The irony of Mario getting the fungal treatment after spending two decades doing his utmost to eradicate them hopefully isn't lost on those crazy nanobiologists. If you're a fan of Mario and his fungal foes, don't forget you can vote for New Super Mario Bros. Wii in our Nintendo Life Game of the Year Awards. Need reminding how good it is? You'll want to read our For Your Consideration article, then! Imagine if it grew and mutated and ended up going on a rampage through Tokyo, sort of like in Akira. @JimLad: Those guys will leave the dish next to an array of bad translucent chemicals eventually. Combined with the powers of a clumsy janitor, Japan is doomed. @ JimLad: I, for one, would welcome our new Giant Mutated Mario overlord. I don't think he'd be a terror, but a protector. He'd be the perfect foil to Anguirus, (classic Godzilla nemesis), whom I always thought bared a striking resemblance to Bowser. It's all in the spiny shell. Eh? Eh? Fluorescent proteins are the green color and the carotenoid pigments are the red color. Duh! Awesome, Fungus Mario! Maybe we'll see him again in SMG2. Nice. 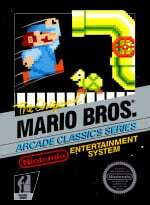 Posting it on the original Mario Bros. game. The word "florescent" is related to emitting light. Proteins are a type of "building block" in organisms (as well as being energy-givers). "Carotenoids" give fruits their colour. "Pigment" is related to containing a certain colour. Taking a bite is definitely a good idea. Didn't they use super mushroom fungus for the red and one-up fungus for the green? Based on my year of university bio and many years of playing video games, I'm pretty sure that's how this experiment works. This gives a whole new meaning to "TRUST THE FUNGUS!" 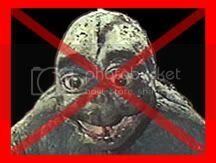 Sadly, Godzilla rarely gets the recognition he so richly deserves... Godzooky, on the other hand, can rot in the special circle of Hell reserved for Scrappy-Doo, Cousin Oliver, and the rest of television's useless, annoying second bananas.